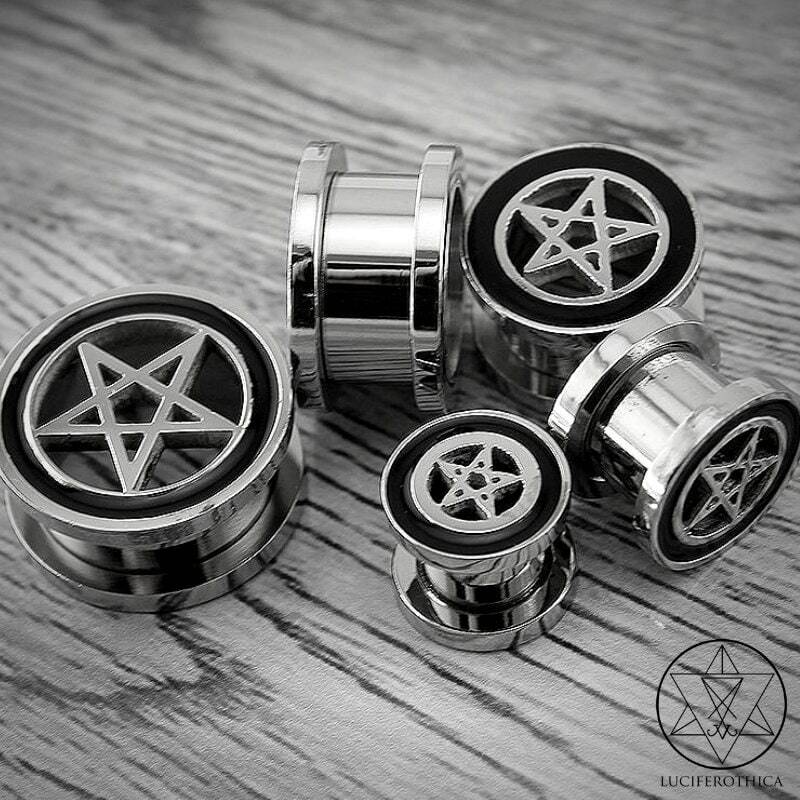 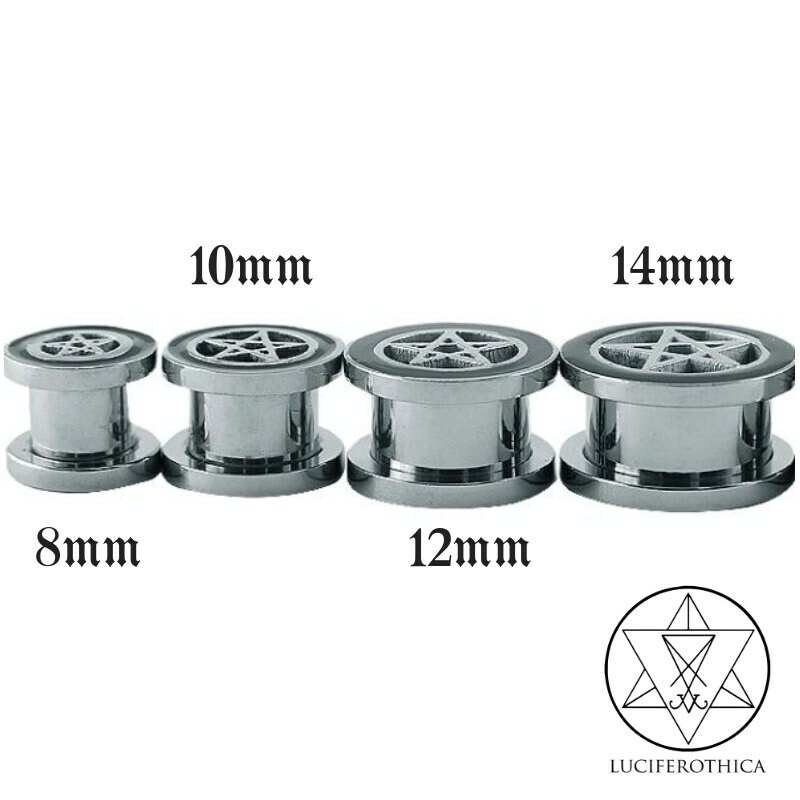 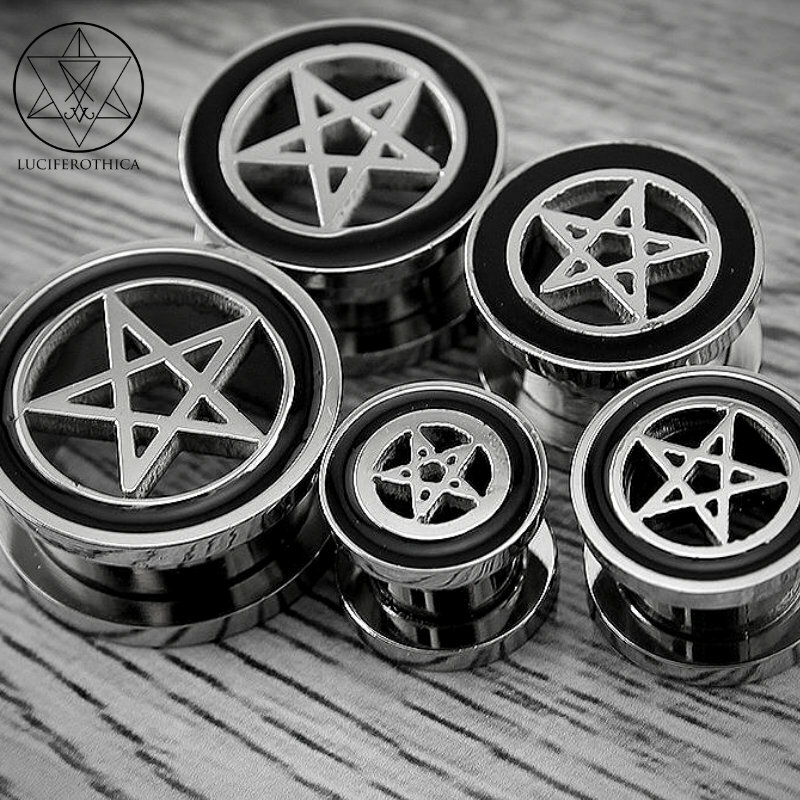 Stainless Steel Pentagram Plugs ( Different Sizes). 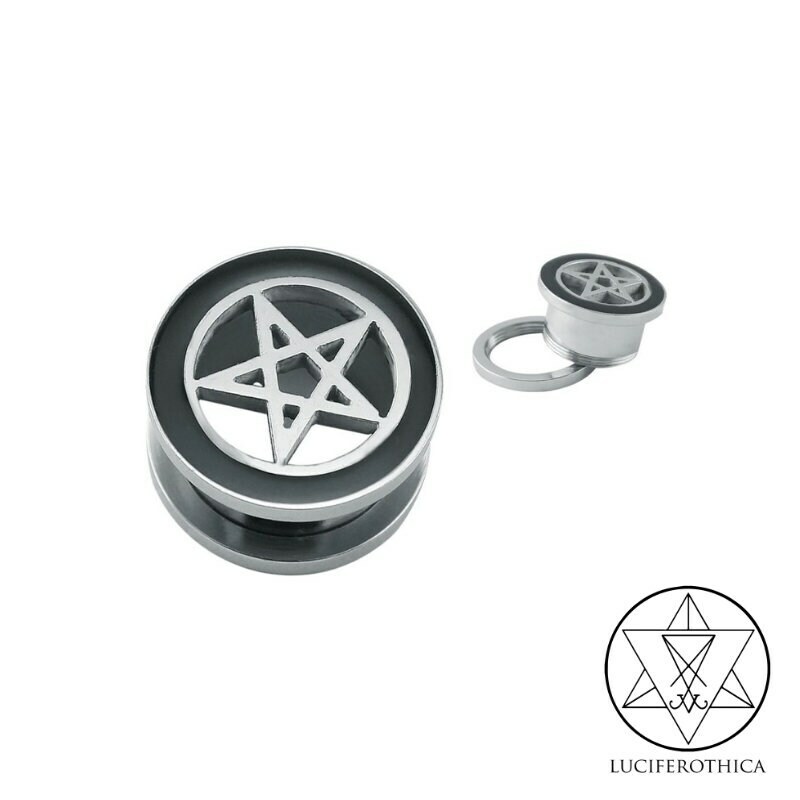 - Pentagram surrounded with black enamel. 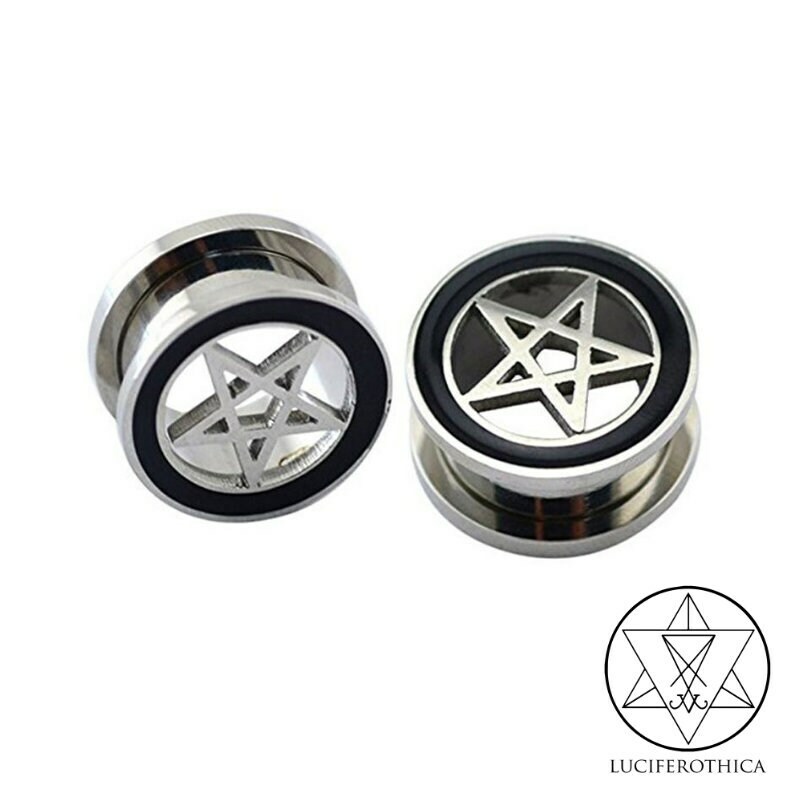 Can be worn inverted or normal.